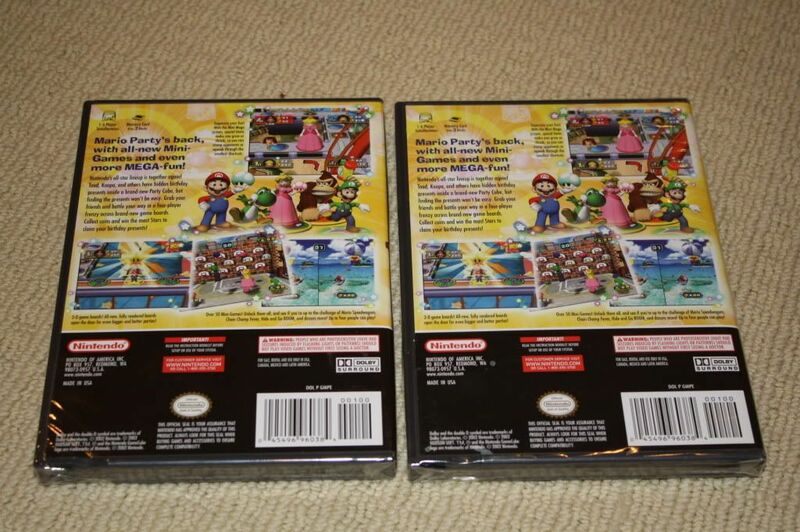 How to Detect Resealed US NTSC Gamecube games Beware - tons of fakes floating around on ebay and NA! Can't tell the difference right? They both look pretty identical. This is what you would think if you saw this on auction as well. Now the differences start to show. 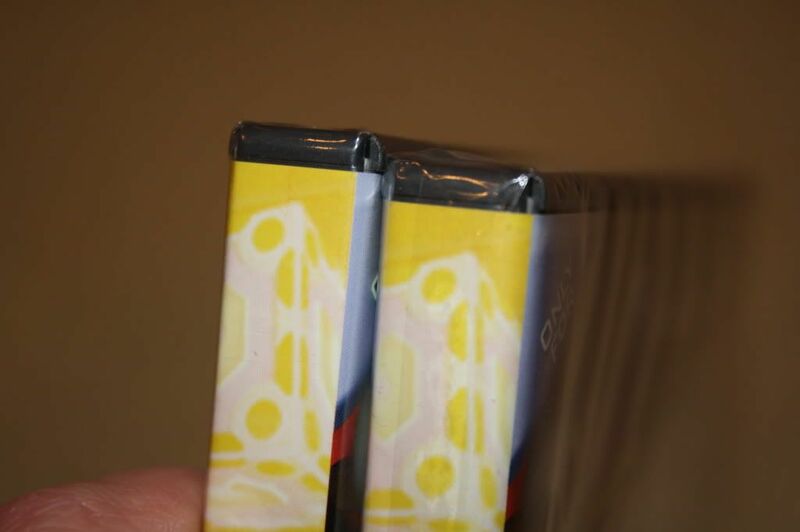 See how the Y-fold seals on both copies look a little different? On the resealed one the triangle of the Y-fold goes in much further and the overlap is a bit strange. More evident is the seal on top. 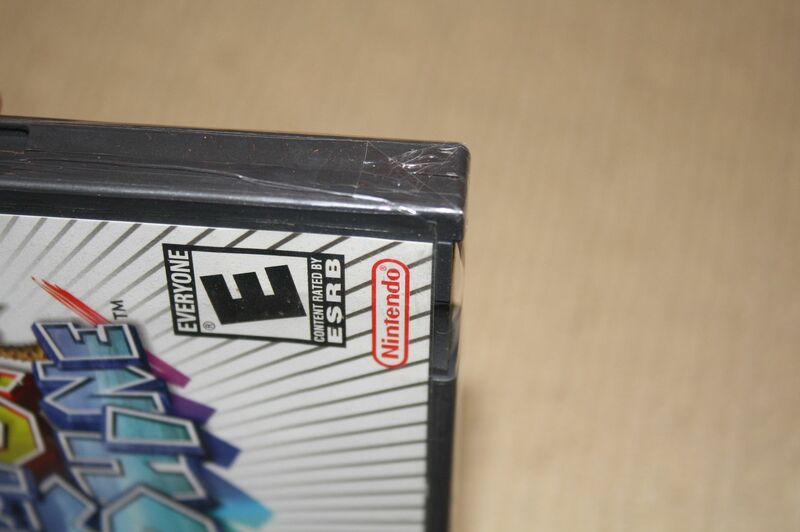 ALL factory sealed GC games should have a seal on top and bottom where you see a bit of glue holding the overlap together. The resealed copy on top doesn't have such a seal - it is merely an overlap and it doesn't overlap towards the middle as it should. A closer-up image of the y-fold. You will also see in closer detail what was mentioned above - the sealed part in the middle doesn't exist in the resealed copy. A close-up image of the middle overlap seam I have referenced. 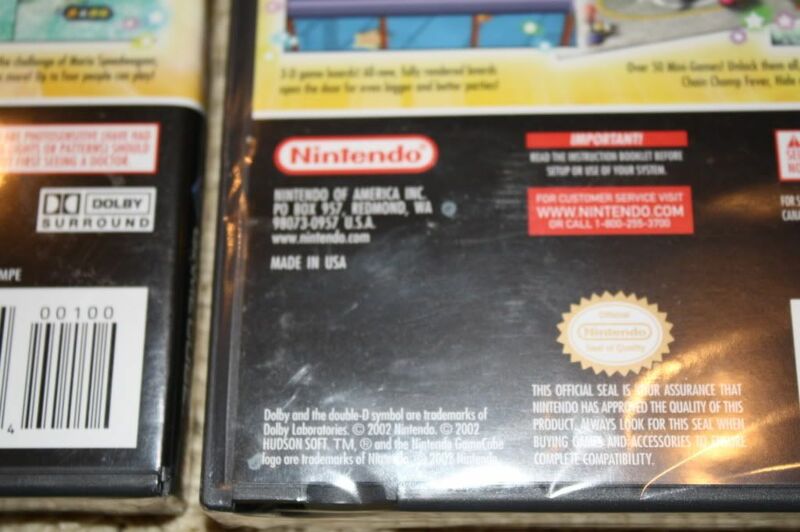 Notice on the factory sealed copy it is actually sealed there. In the resealed copy it is just an overlap. Now we have the most damning confirmation of a reseal in combination with the other facts presented. 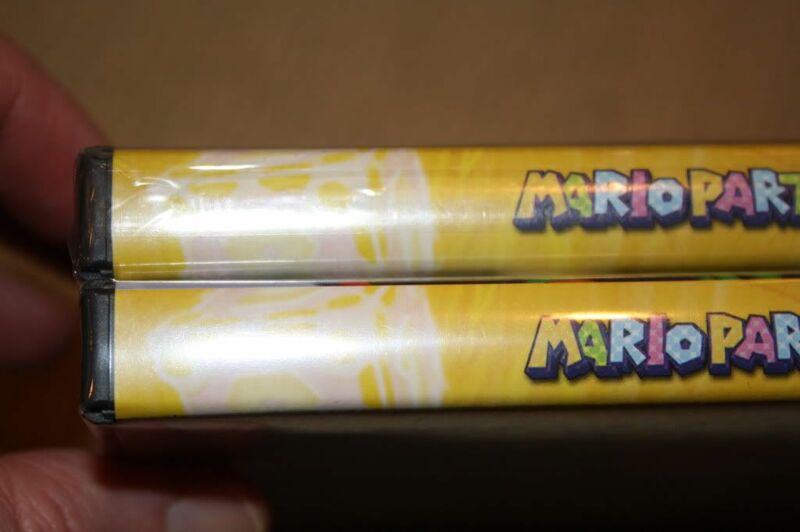 The resealed copy has a seam on the spine! This should hardly ever be the case. 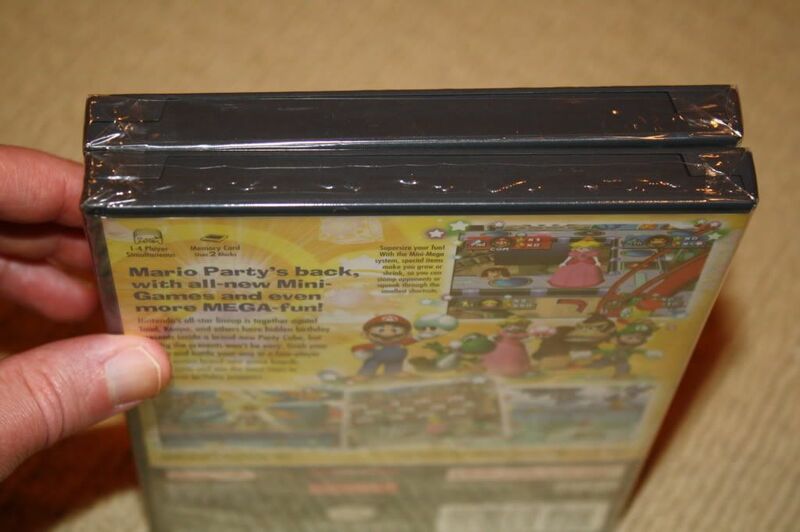 I have never seen a factory sealed GC game with a seam on the spine. Presumably this is how resealers are more easily able to fake the Y-fold as this vertical overlap seam extends to the y-folds on the top and bottom of the case. 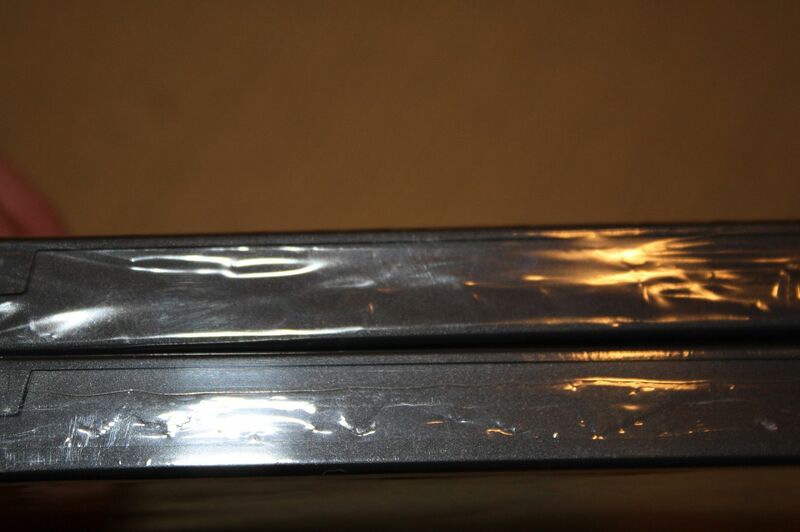 A close-up image of the phony spine seam on the reseal going up towards the y-fold. 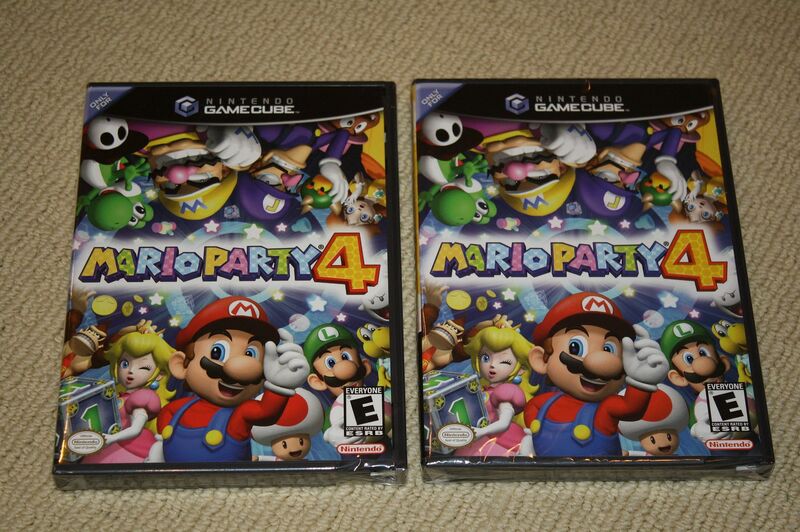 The factory sealed copy on the left has no such seam. 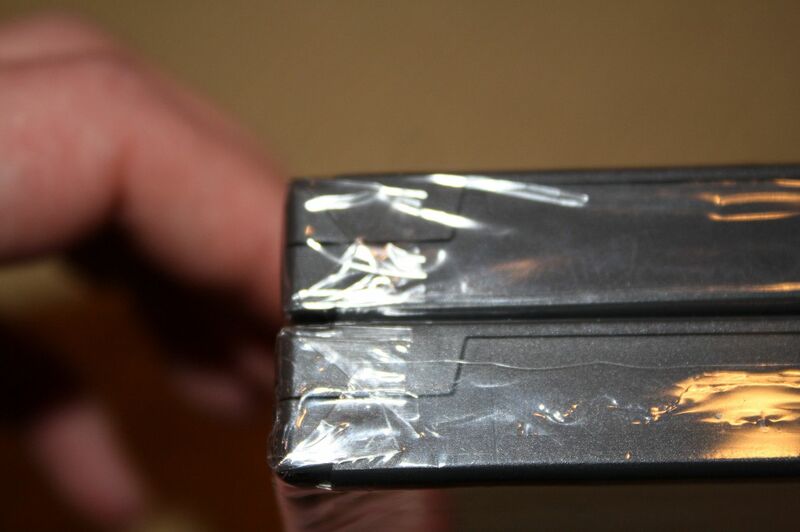 More evidence of a reseal - there are small stains on the insert inside the case! You can also see slight scratching/wear on the case if you look close, but this will never show up in pictures, especially in an auction. This particular reseal has half of the y-folds on the side instead of on top. Also the y-fold triangle is off - doesn't have the dimensions a factory sealed y-fold seal should. Lastly, the most obvious way to detect a reseal aside from what has been mentioned above is to feel the wrap. Every single reseal I have received has cellophane that feels a little loose or thin - scammers have a hard time finding the right cellophane to match the factory wrap. Hope this helps everyone out there. Be very careful when buying on eBay nowadays! Thanks for sharing man, I'm glad I won't be getting into sealed GC anytime soon, or ever. I still feel that this is a vulnerable area and that eventually there will be ways to perfect it, as GC seems harder to detect than NES/SNES. Do all the best reseals have that vertical seam along the side of the game? Those are the best GC reseals I have seen, yes. Mostly because the average picture you will find on ebay will not show that seam on the side. 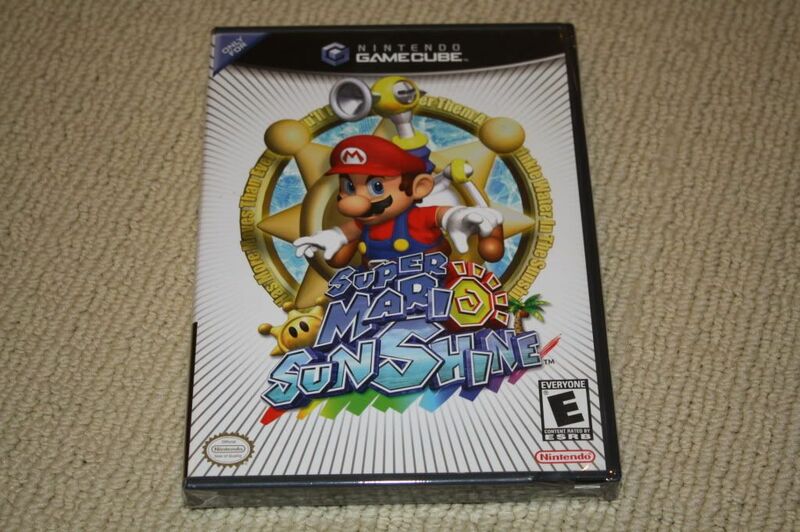 Also note the resealed Super Mario Sunshine above came from none other than Nick Morgan (aka servicegames on ebay) last year. Apparently he has not stopped his resealing ways. Very helpful post.. Thanks bucky! WOW. Thanks for the heads up, I was thinking about at least grabbing the Mario Parties and the Zeldas sealed on GC at some point down the road, so this information is quite useful. Thank you very much for this feedback. 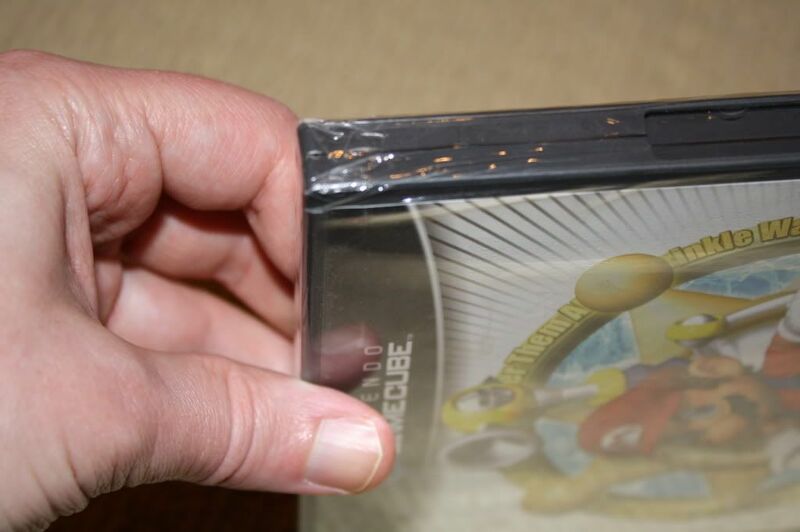 I believe everybody who collects factory sealed games should have a little knowledge on how to spot resealed games and is not always easy to find a good guide like this one. Thanks again! thanks adam. i'm going to have to pull this up if i ever get a sealed gc game. very informative, thanks for all the tips Adam. This should have been in the ezine, but we all appreciate you sharing your expertise with us. The one dudes name is Justin Foster. I hate to add more paranoid thought but I know somebody that could get games out of the package without disturbing the wrap. They used to get free games because they would put an AOL cd or something in its place and then return them to the store. The point being you don't even have to reseal them if you are patient. You couldn't tell the difference. You guys are insane to pay good money for sealed disc based games when its so easy to get screwed. No Ninja Rap = No Thanks. You got him listed as Frost. That's why I spoke up. If you aren't opening them, does it really matter if they are resealed? You obviously haven't seen the world of sealed game collecting. I wouldn't ever want to dive into this area...just too costly and too easy to get screwed over. A resealed game is worth as much as a CIB game. A sealed game is worth as much as a sealed game. Get what I'm saying? Excellent thread! 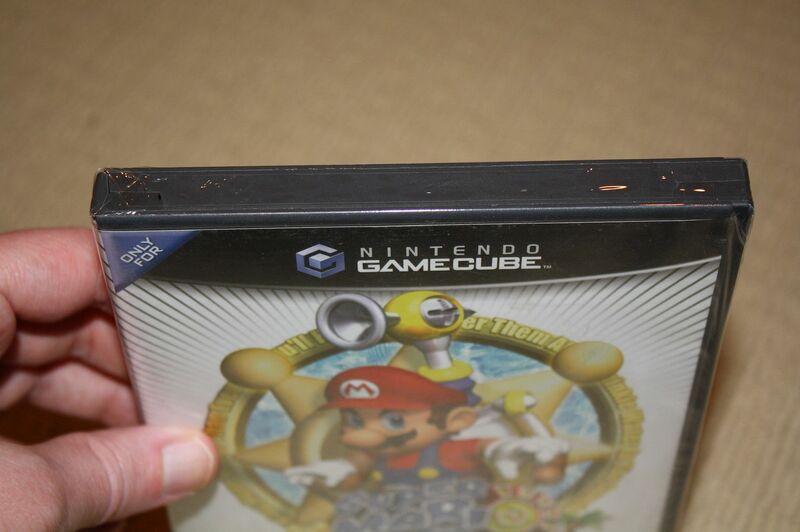 Gamecube reminds me of some of the old Saturn seals, if you look very carefully, you can see scratches/lint etc. on the case of reseals, but the problem is that it's usually too late when you find out - best to just buy from trusted collectors/sellers although I know thats sometimes hard to do - this was great info for the new y-fold games that seem to be the norm - thanx!!! I cleaned this thread up. Adam is nice enough to educate us and some people feel the need to crap on a thread about how they think sealed collecting is stupid. If you have nothing nice to say say nothing at all. yeah. i will slap a child. at least scott is nice. i'm not. keep up the good fight Adam. I know this is an old thread but still very useful to me. Thanks. Did it ever make to an issue of the ezine? Am I understanding correctly that both sides have an overlap? Bucky likes to keep us informed so we may buy from him. He's selling his entire collection I heard. I really hate the darker corners of our society. Dupe post...6 month old in lap. Only mildly related, but I've noticed on certain DS games that the Y-fold goes up one side quite a bit (or completely in some cases). When I tried to track down a nice copy of Final Fantasy: 4 Heroes of Light, I checked multiple stores in two different states, and every copy I saw had the fold overlapping onto one side completely. It kind of makes me think collecting sealed games for the newer generations is going to be much more of a headache in years to come because of small variations like this. Good stuff, thanks for the info. I didn't realize how many of these were being faked. very helpful post indeed. If you want to see a good example in person of a used game y-folded go to Best Buy their machine has the y-fold and some stores have a basic heat gun and plastic sealing to cover. I purchased a used game a while back and knew it was resealed but it looked almost authentically new. But you can also tell the plastic used to to resealed is also can be less glossy and have a different feel to it as well.